Boutique Carry Bags are ideal for shopping, trade shows and exhibitions. 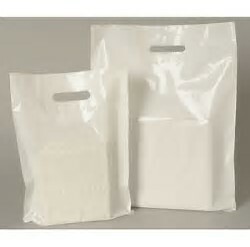 LDPE white carry bag with cut out patch handle. 500 loose bags per carton.